As much as we like to imagine that the air we breathe is clean and we’re just fine, this just isn’t true anymore. Even without pollution, there are still natural elements floating around that can be a bother to us. But how are we supposed to clean the air? It’s not like we can just swat a towel around and hope that the particles get brushed off to the side. Instead, we can use natural and smart ways like air-purifying plants and perhaps other ways that are a bit more hi-tech, like for example air purifiers. Luckily when it comes to choosing the right one, we’ve done most of the research for you. So sit back and tag along as we guide you to through our top five picks for air purifiers. Air purifiers can be great for our health. It can cleanse many harmful chemicals and pollutants from the air in our homes, schools, and hospitals. Some of the irritants are earthborn such as pollen, dust, and mold. These can range from being simply annoying to deadly to people who suffer from allergies and other natural conditions. For example, radon gas is also a natural irritant that can lead to lung cancer. However, not all of these pollutants are natural and are quite harmful. Air purifiers filter the toxic effects of cigarettes and tobacco. Rising pollution from cars and factories including too much carbon dioxide, VOCs, and any asbestos that may be lurking about. Besides health, air purifiers can relieve stress, provide background noise, and clean air can improve our moods. Overall, they’re good for the environment, people, pets, and most importantly, the air. There are some main things to be considered before buying one of these machines. The very first of which should be what are you looking for in an air purifier? Is it to focus on allergens or chemicals more? How big is the space I’m putting it in and will it be too big or small? Also, how noisy can I tolerate it to be? These are all questions that should be answered before looking for the best price. While air purifiers can be costly, it’s good to get the one that suits you best. 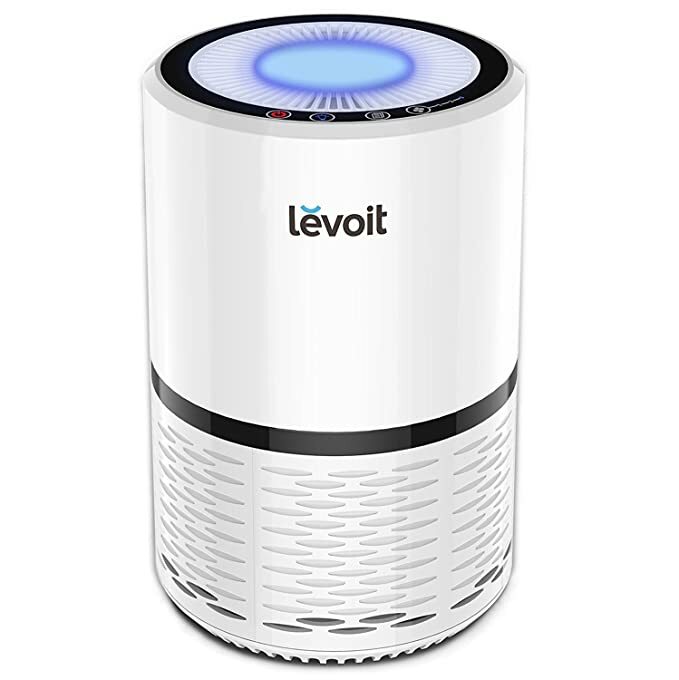 The Levoit air purifier is an affordable, reliable machine. It is especially effective at clearing out allergens, including dust, pollen, and pet dander. To do this, the Levoit air purifier uses no UV-C light in any of their purifiers. UV-C light can damage the ozone layer and cause more harm. They not only strive to clean your air but keep all the air safe. It also comes with many helpful features, including a nightlight, 3-speed fan, and a certain degree of noise control. The only downside to this product is having to replace the filter every six months, but given its compact size and low cost, it’s easily worth it. The GermGuardian air purifier is a highly tested and qualified air purifier that specializes in removing allergens, such as pollen and pet dander, as well as tobacco smoke and other odors. UV-C light technology works with Titanium Dioxide to reduce airborne bacteria, viruses, germs, and mold spores. Meanwhile, a charcoal filter traps in the odors. It’s also been Energy Star tested and approved. 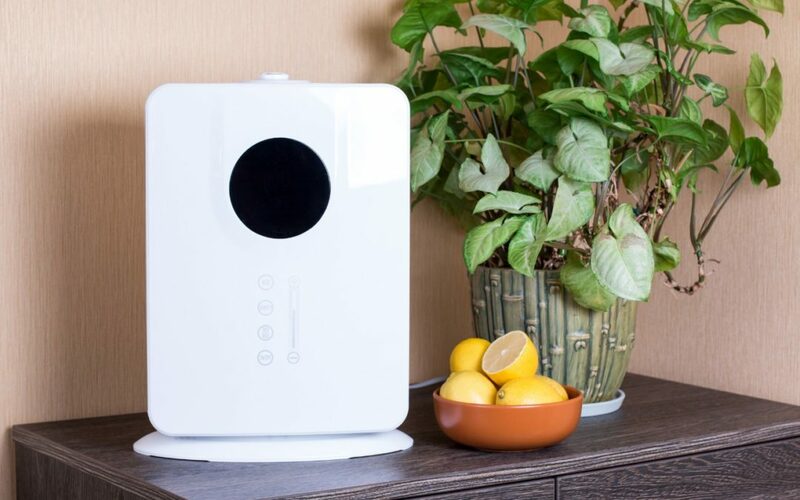 GermGuardian’s air purifier is a around the same cost as Levoit’s but comes with fewer features. There are three fan speeds, the slowest of which is the quietest. This air purifier is slightly bulkier and may come with fewer features, but it is by far the highest quality one on this list for a lower price. 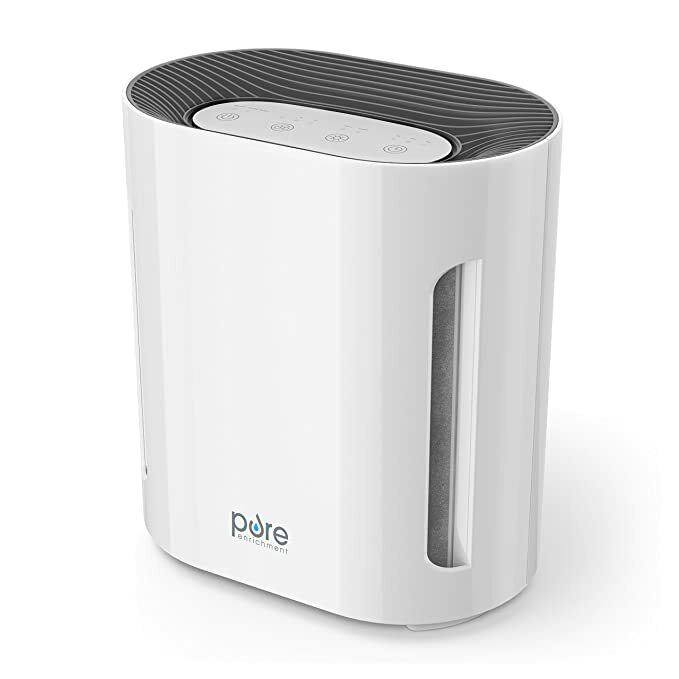 The Pure Enrichment air purifier is more expensive but comes with more features. The filtration system is three parts, a pre-filter, an activated carbon filter, and a HEPA filter. Its power is three in one. It focuses on removing allergens, odors, and harmful bacteria. The UV-C light destroys the bacteria and chemicals as it passes through the filters. The Pure Enrichment air purifier is easy to use and comes with a few extras. There are three settings for the speed of the fan, noise level adjustments, automatic timer and a reminder to change the filter. It costs more than the previous two but still remains small, manageable, and good for your home. 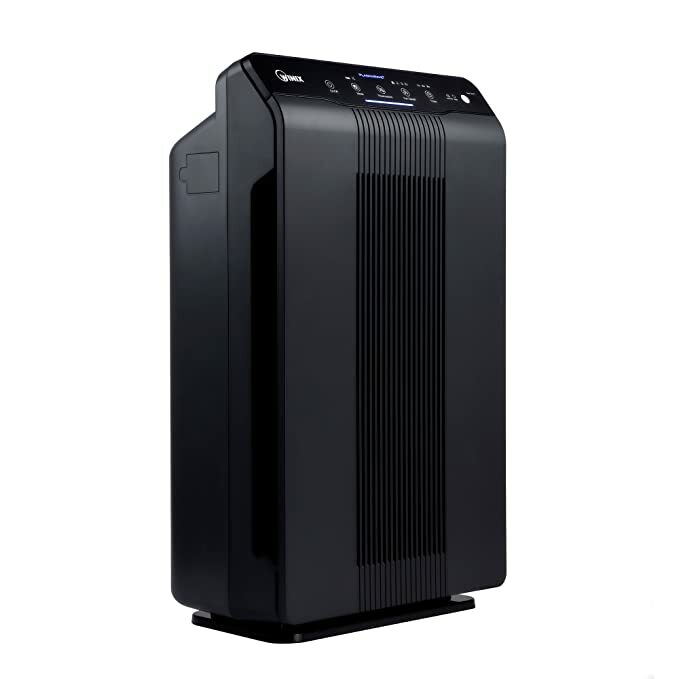 The Winix air purifier is great for larger homes. Focusing on allergens, pet dander, odors, bacteria, and chemicals, it comes with a True-HEPA filter. The best part is that the filter is reusable and can be washed. No more replacements. The purifier is equipped with sensors telling it when to activate or run harder while still maintaining a sleep mode for quiet filtration. It also has four fan speeds. The biggest downfall is the price. It is nearly $160. Depending on your home and your health it may not be the right fit for you. While its features are wonderful and it does the job well, it could be a bit of a financial hassle. 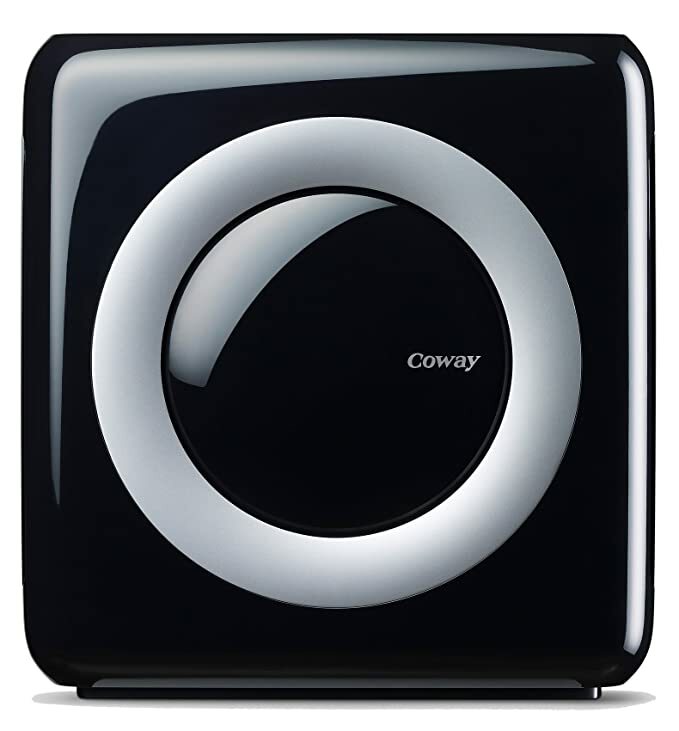 The Coway air purifier is our top pick. It has a four-stage filtration system with a bipolar ionizer that generates an electrochemical reaction that reduces particles in the air. It focuses on everything from allergens to odors, toxins to bacteria. Extra features include a sensor to tell you how well your air quality is, a timer, an automatic mode, an alert to tell you to replace the filter and three different fan speeds. It’s size ranges from a smaller medium to a large. It could be the perfect fit for a smaller playroom or a larger sitting room. The Coway air purifier is, however, the most expensive purifier on this list. It’s price ranges from $170 – $200. It is not cheap. It can meet most needs though and is top of the line. We rely on good air for everything. Unfortunately, in today’s world of pollution, widespread bacteria, and easy allergens our air has become harmful. Air purifiers work to save not only us but the planet as well. They can take out the toxicity and keep the pollutants locked away. While this isn’t an absolute problem solver, it is a first step that many people can take to being healthier, and making our planet healthier. After all, we’re constantly relying on the air to live. Might as well keep it clean.